But, the cupcake ended up sitting in the refrigerator for almost 4 days...I guess, maybe even more. 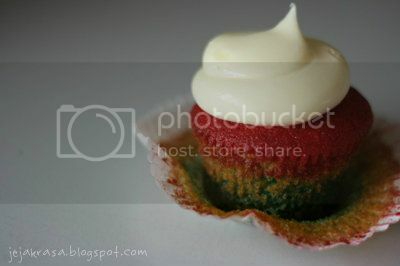 So, that's why today I had breakfast with this rainbow cupcake. Well, the taste of cake from Disini Bakery always superb, I think it is the mini version of rainbow cake, only the cheese cream on the top of it. 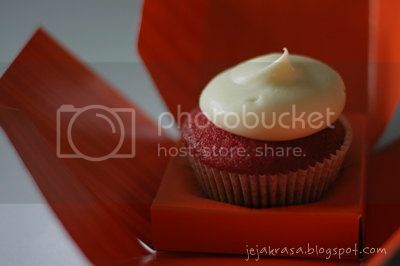 And actually, the packaging of the cupcake kind of cute and it can be used as a gift for your loved ones. So, when you want to surprise your wife/husband or boyfriend/girlfriend, or even your son/daughter, you can buy this rainbow cupcake and imagine the happy smile on their face when they see it. 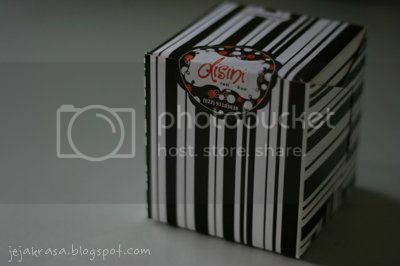 That's what I did when Aswin gave it to me. 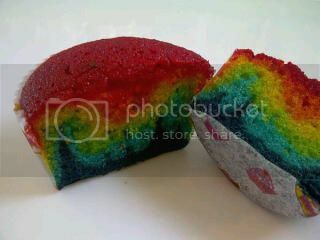 So, rainbow cupcake anyone?